Unick ONE is totally free in all functionalities for all entrepreneurs and accountant. FREE package is intended for the registration of one user. No matter whether you are a businessman or accountant. If you and your businessman / accountant creates a profile of Unick ONE, you can easily associate with him. "Two-way access" is a single businessman with the accountant always free. This package is designed for the businessman who has a max. 5 firms, or an accountant who takes care of accounting max. 5 firms. This package is totally free. If you need to exhibit more documents or to add more users or companies can choose from other packages. Profit package is intended for the registration of an unlimited number of users. No matter whether you are a businessman or accountant. If you and your accountant creates a profile of Unick ONE, you can easily associate with him. "Two-way access" is a single entrepreneur with the accountant always free. This package is ideal for you, for more holders of one firm or multiple accounts under one accounting firm. This package can exhibit, or charge an unlimited amount of any of the documents. ENTERPRISE package is intended for the registration of an unlimited number of users. No matter whether you are a businessman or accountant. In this package you sign up, or charge an unlimited number of companies. This package can be displayed or charge an unlimited amount of any of the documents. Displayed price list will be valid since 1. 9. 2014 in Czech republic and since 1. 1. 2015 in Slovakia. 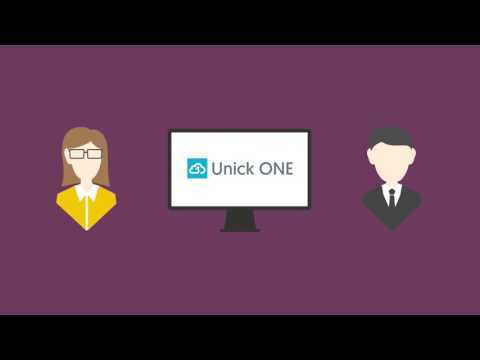 Unick ONE is a simple, easy and intuitive software that connects accounting with invoicing through a unique "two-way access". Sign up today and create your own profile as an "BUSINESSMAN" or an "ACCOUTANT". Immediately after registration you will see your optimized views.